TEACH through Love: 10 Tips For Helping Kids Who Don't Like Hearing "No!" 10 Tips For Helping Kids Who Don't Like Hearing "No!" Many parents come to me in desperation wondering what they are doing wrong and why their kids are still resisting their limits and throwing tantrums even after they provide empathy, and calm, logical explanations. The real reason? We expect empathy (and rational thinking) to magically change behavior. Empathy is what children need to experience if we want to grow and strengthen the connections in the brain which govern mature behaviors. We have to allow them to unravel in our presence. Immaturity is a necessary stage of development. When we allow children to "meltdown" while we remain calm and emotionally available, we provide an essential outlet for their emotions. This allows children to successfully recover from their feelings of frustration and helplessness and eventually learn to make new choices. Behavioral change comes after emotions are felt, understood, and processed with the nonjudgmental support of someone who cares about us. Be patient and supportive as your children learn to manage their feelings with the coping tools that you model and provide. 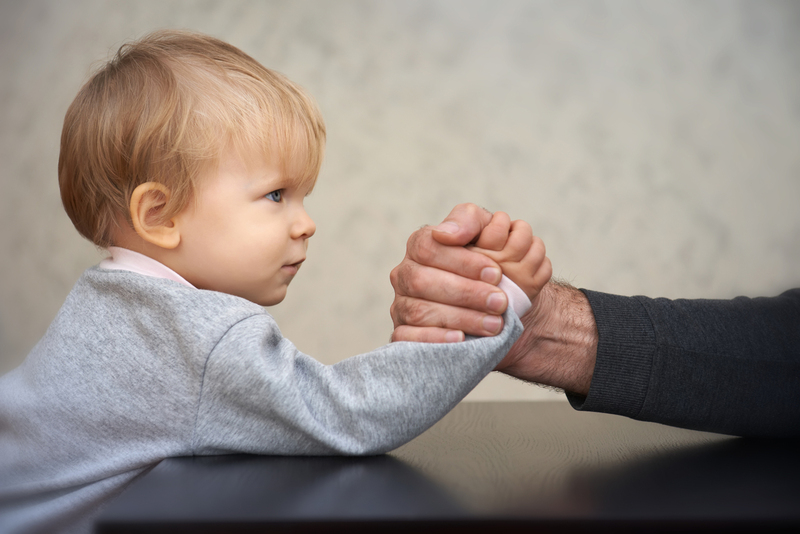 The hardest part is understanding that just because we set limits with kindness and compassion, it does not mean that children will immediately have the skills and cognitive capability to change their behavior. 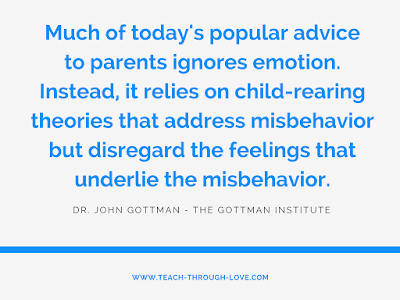 Become aware of when you are allowing your discomfort to demand that your children obey or "get over" their feelings. Make a new choice to model for them with compassion and curiosity about how to respond to life when it's not going their way. - and they learn to react based on what they see and how it makes them feel. Is it safe to feel mad? Is it okay to cry when we're sad? 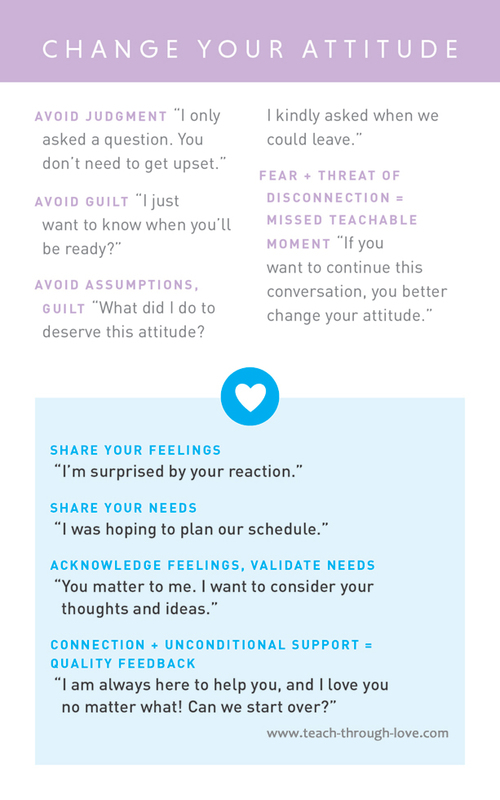 How you respond to behaviors such as yelling, stomping, screaming, begging, or hitting makes all the difference in whether your children learn to rely on you to be their reset button. Don't be offended by behavior. It's not about you. It's immaturity. And, it's normal. You can build skills without force and punishment. It takes time for children to take full control of their emotional systems and consistently show positive behaviors. Having someone set a boundary with understanding and compassion, and without trying to control the outcome, is what soothes the brain and drives maturity. In this TEACHable Moments video, I share my top 10 tips for helping kids who don't like hearing "No!" Look for food sensitivities which may be inhibiting positive behaviors. Control the environment to help kids stay within the boundaries you have set. Stay right-brained and connect emotionally. Ask: what is this behavior communicating? Get in some play-time to reconnect after a long day at school. Wait until everyone is calm to teach lessons and problem-solve. Know what sensory experiences help your child calm down. How do you get your child to regulate and calm down after being upset? Share it in the comments below and help another community member who might be struggling. Thanks so much for watching and reading! Can't see the comments? Try switching from mobile to desktop view.